RRResearch: Survey results: what should be done about CC-BY reuse? Survey results: what should be done about CC-BY reuse? My first posts on this new problem reported that a for-profit publisher is editing and republishing open access articles as if they were new contributions to special-topic books (here), and described concerns raised by authors I had spoken with (here). These concerns were largely dismissed by some advocates of open access, who commented that (i) authors should have realized that this is permitted by the obligatory CC-BY license, and (ii) authors should not complain since this is additional exposure for their work and ideas. I felt that it's unreasonable to expect authors to have anticipated this particular form of reuse, especially since there's no evidence that open access advocates anticipated it. And I thought most of the concerns authors raised in discussion with me were very reasonable (here). So I circulated a short survey to get solid data on how authors feel about this new practice. The survey responses (here) make it clear that authors are seriously concerned about the ways this reuse could harm their reputations. This is to be expected - I think most scientists see their scientific reputation as even more important than their funding. The many comments also make it clear that most authors had no idea this republication was happening, even though most of them had published open access articles. More than 40% of authors in the survey said that they would not have accepted the CC-BY license if they had known this republication could happen. If nothing is done, these concerns will seriously hinder the spread of open access publishing. What should be done? Open access advocates and publishers (the honourable ones, not the predatory ones) could just keep quiet and hope that the problem doesn't become generally known. That probably won't work out well. The present problem may be limited to one publisher (Apple Academic Press) but the explosive increase in predatory publishers of open-access journals suggests that it will grow; see the more than 300 publishers (not just journals) on Jeffrey Beall's list. And awareness of the problem will spread each time authors discuss where to send their next paper. Open access publishers could also work behind the scenes to ensure that CC-BY articles republished under the authors names are conspicuously labeled as having been previously published and, if appropriate, as having been edited without the authors' participation. If this effort was successful I think it would eliminate most of the authors' concerns about their reputations. Enforcing it would probably require expensive and ongoing legal actions, but (added later) I think any journal that requires CC-BY should accept the responsibility of legally protecting their authors' interests in this license. (Added later) Although CC-BY doesn't explicitly specify that the journal citation must be included along with the authors' names (not being designed for journal articles), K. Fortino (@kennypeanuts) pointed me to PLOS's very clear statement that full citation of the article is the required form of attribution. All CC licenses prohibit 'implied endorsement'; that is, the reuse must not imply that the original source approves the reuse. The offending books I've looked at typically describe all of the article authors as 'contributors' in a list at the beginning of the book; this is clearly a form of implied endorsement. Because open access articles are a major user of CC licenses, OA advocates and publishers could also work together to develop a specific CC license that better meets the needs of authors and publishers. It might allow everything that CC-BY does, but also require (i) prominent listing of the journal citation with the authors' names and (i) if the article had been edited from the original publication, whether the authors have approved this editing. Maybe call it 'CC-OA'. Finally, open access publishers could actively inform authors about these issues and their efforts to control them. There are many ways to do this, but the strongest point of contact is when the author agrees to the CC-BY license. Open access publishers already use this access point to provide authors with information about the benefits of this license. Now that this problem and the reasonable author concerns have been identified, I think it would be disingenuous of publishers to not also give authors this information. Open access publishers and advocates have enthusiastically promoted the benefits of CC-BY publication to authors (the BMC text is typical). In a previous post I drew an analogy with informed consent in clinical trials, suggesting that OA publishers would be negligent if, in promoting the common good of CC-BY licensing, they did not inform authors of the personal risks as well as the personal benefits. Remember, I'm an advocate of open access, not an enemy. In the short term, increasing awareness of this problem may scare off authors who might otherwise remain ignorant of it. But if we do nothing about it, in the long term we risk losing many authors who would otherwise invest their limited grant funds to make their articles open. From reading the comments on your last post, it seems that most people who were concerned, where primarily worried about the commercialization aspects of CC-BY. The obvious solution is to try to publish as CC-BY-NC if you are concerned with that (or CC-BY-NC-ND). The two issues arising are 1) is this an option that is available to authors and 2) are there problems with using restrictive licenses. Personally, to me, free means re-use whether i agree or not. I think the answer choices (n=710) are more representative than the comments (n=108). Authors pay $1000s for open access so they are offended by commercial reuse, but their biggest concerns are about controlling the content that appears under their name. 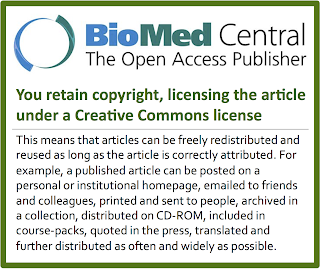 See paragraph I just added above about the possibility of developing a CC licence specifically for OA articles. CC-BY does not forbid commercialization - it simply routes large licence fees (often thousands) to the original publisher. One publisher received nearly 2 million dollars for a reprint. See http://blogs.ch.cam.ac.uk/pmr/2013/08/16/a-single-openaccess-reprint-request-from-elsevier-costs-50000-usd/ and previous posts. This case example suggests that articles published under CC-BY would commend a higher article processing charge, since re-use revenues would be much lower than under CC-NC. This seems to be an additional reason not to mandate CC-BY, as doing it will overcharge authors. Publishers will make their money, either upfront or later. In brief: CC-BY by permitting downstream commercialization risks re-enclosure, which could happen on a massive scale. This is the primary reason I argue against CC-BY as a default. We need to know more about what is actually permitted under CC licenses, and whether this is useful to scholarship or not. In any legal matter, there is the question of what the writer of the license meant and what others might reasonable think they meant. This sort of thing keeps our courts very busy! Before authors and interested others can make really informed decisions about what kind of re-use to permit, we need to understand more about potential re-use and benefits / harms for authors and authors. Thank you for this informative survey--it was really interesting to find out people's reactions. What it says to me is that many people don't actually understand what CC-BY means, so the point of making it more transparent, as in the "informed consent" idea you suggest, seems right on to me. Then people will have a better chance of making choices they're happy with. The possibility of a new type of OA license is interesting, but the second part could potentially be covered by existing options, I think--specifically, "no derivatives." Then, if someone wants to edit an article for republication they would need to ask permission to do so. The part about indicating that an article has been published elsewhere is indeed new, so if a good number of people want that then perhaps efforts to create such a license are a good idea. Another thing that I've often thought about is what some of the answers to the survey asked for: notification of authors that their work is being used. Perhaps it's unrealistic to think this could be required (it may be difficult to find people, especially years later! ), but maybe at least an effort to do so? I'm just thinking off the top of my head here; there are likely big problems with this I haven't considered. Personally, I'm very well-informed about the implications of CC-BY and continue to use it anyway. I do understand some of the concerns in the survey, though, such as that people who are thinking of buying the book should know that free options are available--which would be taken care of by citing the original journal in which papers are published. I am confused why "CC-NC" comes up in this context. The problem is that "non-commercial" is not easy to define at all. It certainly cannot be interpreted as "for sale". Say, the book was being produced by a charity, (for example, many universities), then it would very arguably be a non-commercial activity. A Non-Derivatives license or something like GFDL would prevent this, since the authors could control the aggregation. Changing the title, and removing the author names from underneath would no longer be possible. I agree with that the meaning of non-commercial is quite fuzzy. And please note that the -ND condition of CC licenses explictly allows for aggregation ("incorporate the Work into one or more Collections" according to the terms of the license). But it doesn't allow any change to the content of the original work (no title change, no text editing). 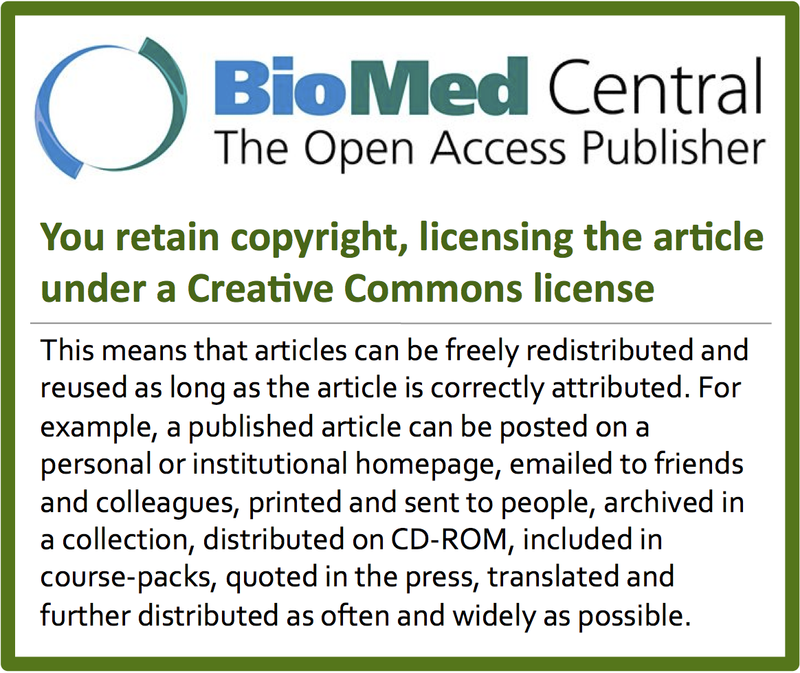 Having a fresh look at Biomed Central CC-BY license description, having in mind this discussion, I was surprised to find that even someone reading it seriously can easily conclude that the articles can't be sold by third parties. Part of it can be attributed to the fact that sales or commercial activities aren't explicitly mentioned in the long enumeration of allowed uses. Part of it may also come from the ambiguity of the expression "freely distributed", where "free" can be interpreted, as the saying goes, like in "free speech" or in "free beer". The same ambiguity has caused similar problems (and much discussion) in the Open Access community. So I agree that OA journals using CC-BY should make an effort to explain more clearly and explictly the meaning of this choice. But I don't see the relevance to go as far as asking them to describe risks and advantages (or harm / benefit), as we don't necessarily agree on which uses allowed by the license constitute risks.